Washington : US researchers have found that giving Vitamin C intravenously can produce super-high concentration in the blood, which has ability to attack cancer cells. The findings, published recently in the journal Redox Biology, revealed that vitamin C breaks down easily, generating hydrogen peroxide, a so-called reactive oxygen species that can damage tissue and DNA. Researchers from University of Iowa Health Care in the US also showed that tumor cells are much less capable of removing the damaging hydrogen peroxide than normal cells. They also found that giving vitamin C intravenously and bypassing normal gut metabolism and excretion pathways creates blood levels that are 100 – 500 times higher than levels seen with oral ingestion. “In this paper we demonstrate that cancer cells are much less efficient in removing hydrogen peroxide than normal cells. Thus, cancer cells are much more prone to damage and death from a high amount of hydrogen peroxide,” said Garry Buettner. “This explains how the very, very high levels of vitamin C used in our clinical trials do not affect normal tissue, but can be damaging to tumor tissue,” Buettner added. 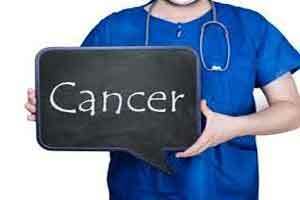 They examined how high-dose vitamin C (also known as ascorbate) kills cancer cells. The team tested the approach in clinical trials for pancreatic cancer and lung cancer that combine high-dose, intravenous vitamin C with standard chemotherapy or radiation. The new study shows that an enzyme called catalase is the central route for removing hydrogen peroxide generated by decomposing vitamin C.
The researchers discovered that cells with lower amounts of catalase activity were more susceptible to damage and death when they were exposed to high amounts of vitamin C.
“Our results suggest that cancers with low levels of catalase are likely to be the most responsive to high-dose vitamin C therapy, whereas cancers with relatively high levels of catalase may be the least responsive,” he explained.